Enjoy this guest post by Rachel Sandler! 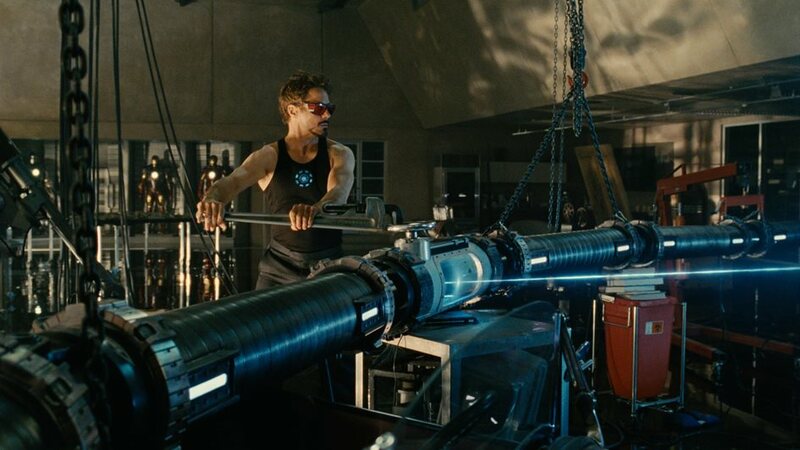 In the 2010 movie Iron Man 2, Tony Stark solves a problem which nuclear scientists have been working on since it was first proposed by Glenn Seaborg in 1968. Stark found the theoretical Island of Stability. For most of the first half of the movie, Tony Stark has a problem. The small, functional arc reactor in his chest (the one preventing shrapnel from entering his heart and powering his Iron Man suit) is slowly poisoning him. The reason? The reactor uses a chunk of palladium – a soft, white metal similar to platinum. Palladium is a very powerful gas purifier and is often used in membrane reactors, which use palladium to separate reactions from a biological environment when producing power. Unfortunately for Tony Stark, the two most common stable isotopes of palladium, 106Pd and 108Pd, have large neutron-capture cross sections. This means any neutrons created by the reactions occurring within the reactor will be captured by the palladium, turning it into 107Pd and 109Pd. Why does this matter? 107Pd and 109Pd are radioactive – they both are emitters of beta radiation and X-rays, which can do a large amount of damage (they’re responsible for the Red Forest at Chernobyl). 109Pd in particular is a problem, as it has a half-life of only thirteen hours. This radiation, along with the silver by-products of the beta-decay, are combining radiation poisoning and heavy-metal toxicity to slowly kill Stark. And while there are 118 elements on the periodic table, Stark has tried “every combination, every permutation of every known element” and remains unable to come up with a replacement. Stark can drink chlorophyll as a chelating agent in an attempt to remove the silver from his system and Nick Fury is able to provide him with a stronger temporary fix, but it’s only a postponement to the inevitable and a new solution must be found. Enter Howard Stark, Tony Stark’s father. According to the movie, Howard knew that his son would make discoveries which were out of the reach of technology in the 1970’s. 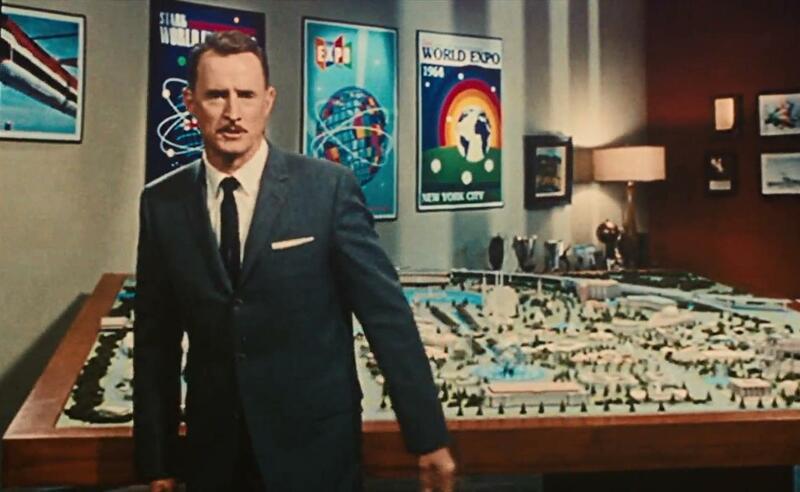 He also had a theory of where exactly the future would go and left that information for his son in the shape of the 1974 Stark Expo. By looking at the positioning of pavilions across the model, Stark was able to create a simulation of a nucleus, with each building representing a proton or neutron within the structure. Stark then goes about building a particle accelerator to create this new element, which serves as a replacement for palladium and allows the arc reactor to continue running without creating poisonous by-products. Certainly not anything that could be found in that little beamline or that could be easily turned with a pipe wrench. Additionally, getting the beam up to the necessary speed would be rather difficult – since the beam exits Stark’s beamline, making all sorts of a mess in the process, the line clearly isn’t under vacuum. This thought is supported by the lack of visible vacuum pumps and the lack of noise from the pumps in the movie. This means that the beam will be bumping into the air molecules inside and outside the line, slowing down and wasting enormous amounts of energy. It also would be difficult to make the beam go in its neat line, as every collision with an air molecule would send bits scattering off in a dozen directions. Finally, there’s the problem with the alignment process. 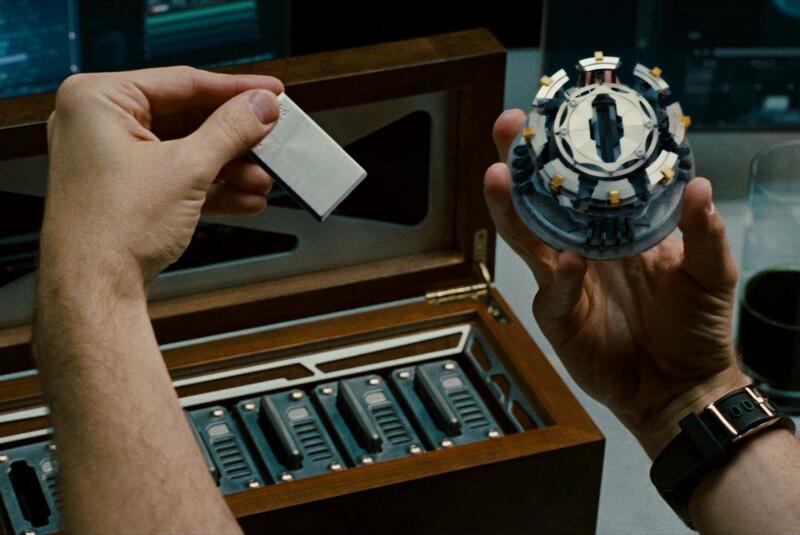 In the movie, we see S.H.I.E.L.D agent Phil Coulson help Stark shove Captain America’s shield under the beamline to level it, as measured with a standard bubble level. Beamlines generally need to be aligned to within 0.1 mm. An inexpensive bubble level like the one shown in the film might get you to a precision of about a millimeter or two, but it won’t get anywhere near what’s necessary to prevent the beam from just smacking into the side of the tube. Anyway, let me get off this rant and back to the main point. Now that we have the necessary movie background, we can take a look at the science background and then bring the two together. Anybody who took chemistry in high school is aware of the periodic table of the elements, but for nuclear scientists this table isn’t even close to the full picture. For example, the “carbon” on the periodic table refers specifically to 12C, the nucleus of which contains six protons and six neutrons. Radioactive dating in archeology uses 14C, the nucleus of which contains six protons and eight neutrons. In fact, there are fifteen different isotopes of carbon, each of which contain six protons and a varying number of neutrons. This is true for every element on the periodic table, all the way from hydrogen, with one proton, to ununoctium (soon to be named oganesson), with one hundred and eighteen protons. 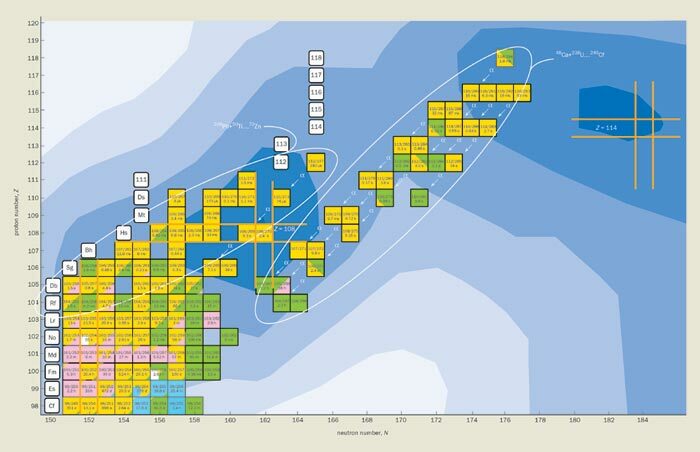 By plotting out all of the different isotopes, nuclear scientists create a chart of the nuclides. The black line running through the graph marks the stable isotopes of each element – basically, that black line is the periodic table. The last black box (and the last stable element we know of) is 209Bi, a stable(ish) isotope of bismuth which has eighty-three protons and one hundred twenty-six neutrons. Technically, 209Bi isn’t stable, but it takes approximately a billion times the age of the universe to decay, so most scientists consider it close enough to count. The rest of the graph is made up of the elements from polonium to oganesson, none of which have stable isotopes. There is a theory, however, that there is an “island of stability” just a little ways beyond the edge of this currently known graph. 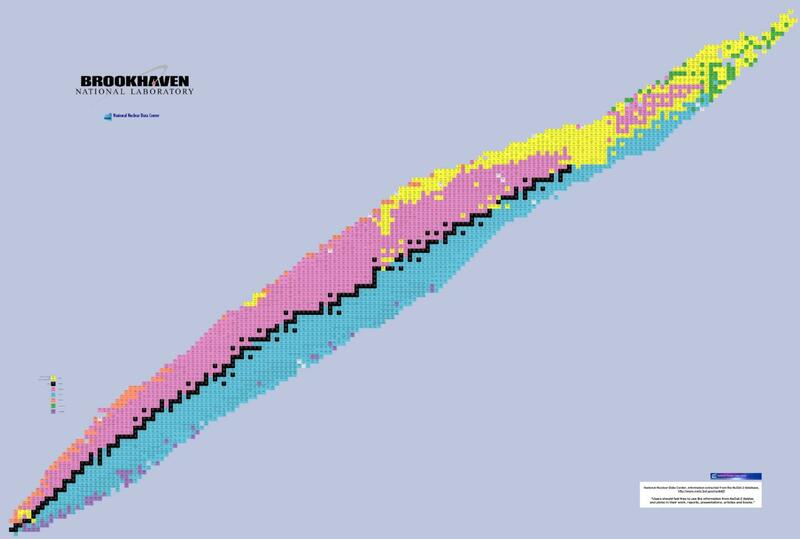 This island of stability is expected to be beyond the heaviest elements already discovered, perhaps an element around one hundred twenty protons and around one hundred eighty to two hundred neutrons. This would lead to a nucleus with about 300-350 nucleons. 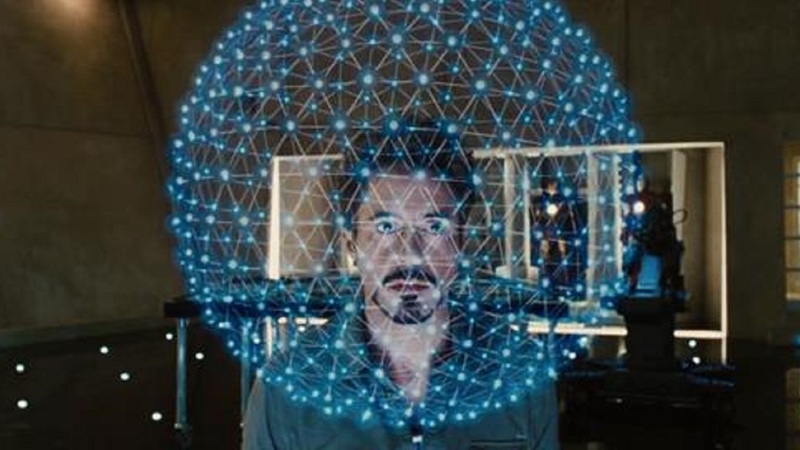 It’s difficult to estimate from the views seen in the movie, but approximating Tony Stark’s hologram as having around the proper number of points is likely accurate. What else can we say about this unnamed element seen in the movie? Since Stark has already tested “every known element,” we know it’s beyond the current periodic table. There are no holes between elements one and one hundred eighteen for Stark to fill in. It also needs to be stable. Superheavy elements, those at the top of the current chart of the nuclides, all decay through alpha emission and spontaneous fission. Both of these are extremely dangerous within a body – remember Alexander Litvinenko? Don’t lick an alpha source, kids… Additionally, most of these super-heavy elements have very short half-lives, sometimes only a few hundred microseconds. The chunk contained within the arc reactor would be gone completely in the time it would take to blink twice. In order to keep himself safe and his heart running, this newly-discovered, newly-created element would have to be stable. 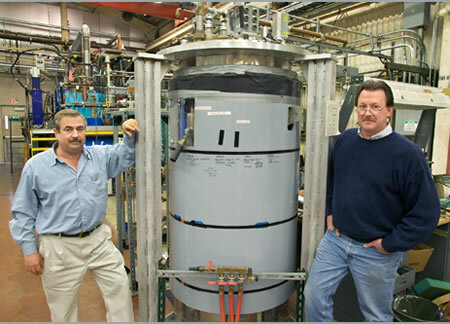 QED, Stark has created a new, heavy, stable element and it’s just about where nuclear scientists expect the island of stability to be in reality. It is reassuring to know that eventually, once real-life technology catches up with that of fiction, the theory will be proven accurate. Rachel Sandler is working towards her PhD in Nuclear Physics at Michigan State University. She hopes that at some point in her life she will no longer be a student. This is a very nice bit of fan-wankery. The “island of stability” was first proposed in the 1960s. All Howard Stark needed to do was suggest to young Tony that research in synthesizing those elements would be of great profit. There was no need to hide things in a model…..especially when other scientists would already be working on the same thing.